The assembly became the stewards of the Taylor Grady House in 1968. Planning the first rehabilitation of the house. Athens Junior League members have taken great pride in the stewardship of the Taylor Grady House for almost 50 years. 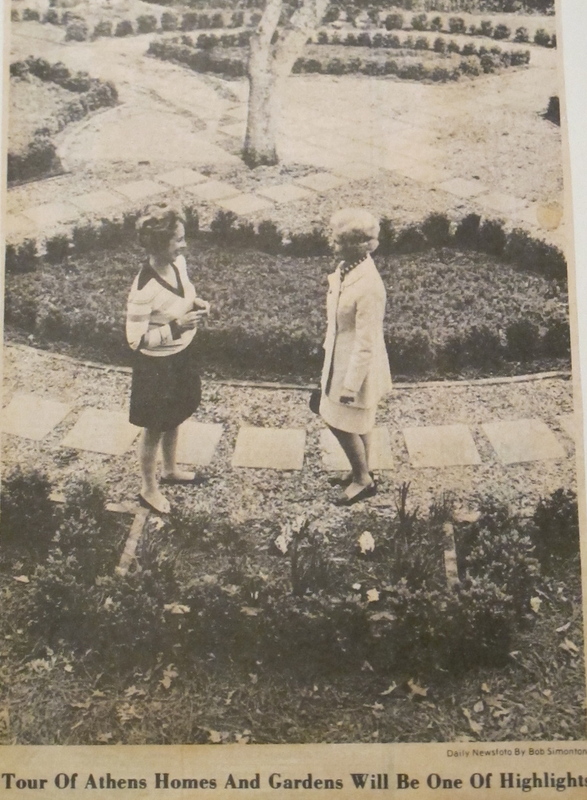 Early photo of the Boxwood garden designed by Hubert B. Owens. Owens established one of the first programs in Landscape Architecture in the country at University of Georgia in 1928. JLA meetings have been a regular occurrence since the house was opened to the public May 23, 1969. The house remains a place of gathering, growth, and learning for the next generation of Junior League of Athens.